Belfast born Christopher Bell is the Artistic Director of NYCOS. He is also Chorus Director of the Grant Park Music Festival, Chicago, and the Artistic Director of the Washington Chorus. He was formerly Associate Conductor of the BBC Scottish Symphony Orchestra (1989–91), Chorus Master of the Royal Scottish National Orchestra Chorus (1989–2002), the Belfast Philharmonic Choir (2005–11), the Royal Scottish National Orchestra Junior Chorus (1994–2017) and the Edinburgh Festival Chorus (2008 – 2018). Christopher Bell was educated at Edinburgh University and held his first post as Associate Conductor of the BBC Scottish Symphony Orchestra between 1989 and 1991. Since then he has worked with many leading orchestras in the UK and Ireland, including the Royal Philharmonic Orchestra, Royal Scottish National Orchestra, BBC Scottish Symphony Orchestra, Scottish Chamber Orchestra, City of London Sinfonia, London Concert Orchestra, RTE National Symphony Orchestra, RTE Concert Orchestra and the Bournemouth Symphony Orchestra. He was Principal Guest Conductor of the State Orchestra of Victoria (1998–2000), and Associate Conductor of the Ulster Orchestra (2009–2017). Christopher Bell enjoys working with young people. Before his posts with NYCOS and the RSNO Junior Chorus, for six years he directed the TOTAL Aberdeen Youth Choir, undertaking touring and recordings with them as well as many concerts in the North East of Scotland. He was the first Artistic Director of the Ulster Youth Choir between 1999 and 2004, a group which he developed and moulded into a critically acclaimed ensemble. Between 2001 and 2008 he was Artistic Director of the highly successful Children’s Classic Concerts series. 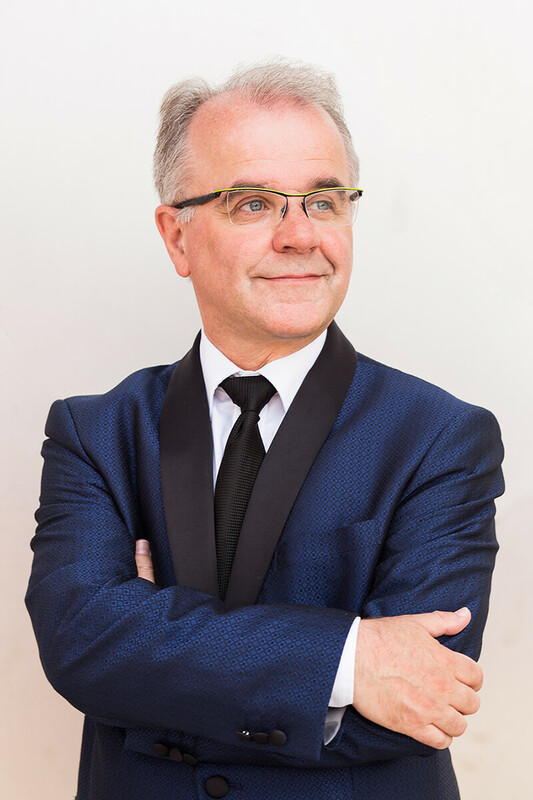 It was his work as Chorusmaster of the RSNO Chorus between 1989 and 2001 alongside the time with the Aberdeen Youth Choir which led Christopher to form NYCOS in 1996 to encourage young singers to develop their skills. Since then the organisation has grown, not only as a choral group with four national choirs and area choirs across Scotland, but as a provider of educational training and resources for teachers and choir directors. For his work with singers, and particularly his encouragement of young singers in Scotland, Christopher Bell was awarded a Scotsman of the Year 2001 award for Creative Talent. In 2003, he was awarded the Charles Groves Prize for his contribution to cultural life in Scotland and the rest of the UK. In 2009 he was awarded an Honorary Masters Degree from the Open University for Services to the Arts. In 2012 he was awarded an Honorary Doctor of Music from the Royal Conservatoire of Scotland in recognition for his contribution to the performing arts in Scotland. In 2013, Chorus America awarded Christopher the Michael Korn Founders Award for Development of the Professional Choral Art. In 2015, he received the degree of Doctor of Music, Honoris Causa, from The University of Aberdeen.